In nineteenth-century, clothing changed dramatically which was influenced by shifts in taste and more significantly by the application of machines to the construction of clothing. 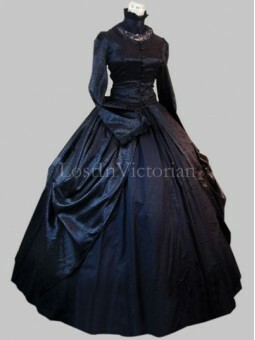 During 19th century women's dress gradually revealed the actual figure of the body. As the natural waist deepened to return to its natural position in the 1820s and 1830s, the bodice required a tighter fit and in contrast the skirt became fuller and bell-shaped. By mid-century, women shifted to wearing large dresses with huge sleeves and skirts and heavy ornamentation. As the century continued, women changed again to incorporate slim profiles or silhouettes, with the fullness of the skirt limited to the rear bustle. 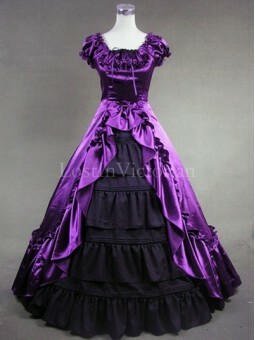 By the end of the century, the skirts became plain and the bodices exploded with layers and frills. 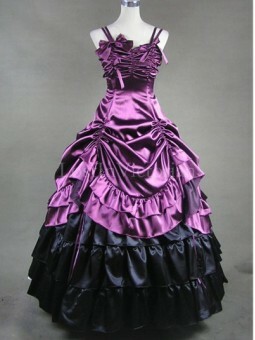 Corsets continued to be worn and were tighter and tighter due to the importance of a slim waist throughout the century. Dresses with short puffed sleeves were generally worn for evening and long sleeves for day. The dress worn by men became increasingly somber and less flamboyant throughout the century. 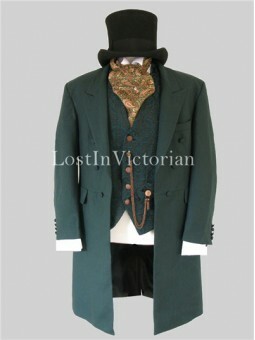 By the end of the period male clothing trended to be clean and polished rather than with fancy ornament. The color black was a proper color for male dress attire and has endured to the present day in the form of tuxedos and dark suits. 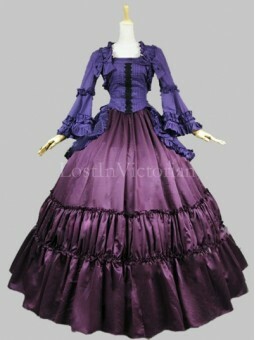 Fabric: Satin, CottonShown Color: Purple & BlueIncludes: Overskirt Bodice, UnderskirtThe hoop sk.. 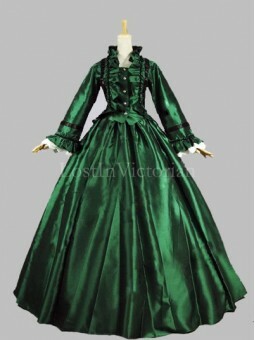 Fabric: Satin, LaceShown Color: GreenIncludes: Bodice, SkirtThe hoop skirt (worn under the dress) is.. 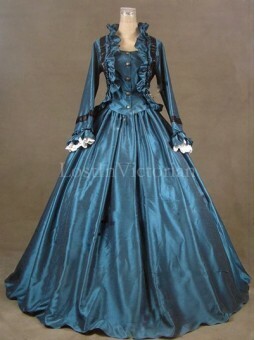 Fabric: Satin, LaceShown Color: TealIncludes: Bodice, SkirtThe hoop skirt (worn under the dress) is .. 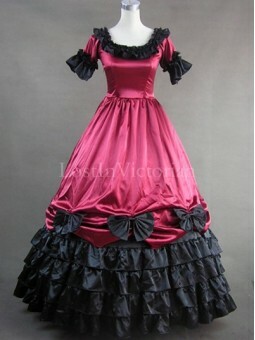 Fabric: Cotton, BrocadeShown Color: BlackIncludes: Overskirt Bodice, Underskirt, ChokerThe hoop skir.. 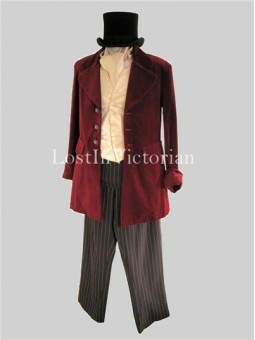 Fabric: Cotton, Velvet, Satin, WoolShown Color: Image ColorIncludes: Burgundy Coat, Cream Wais.. 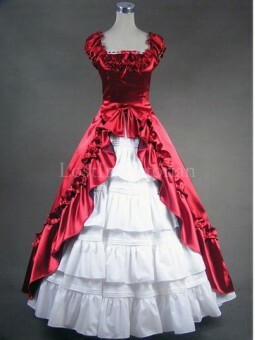 Fabric: Satin, CottonShown Color: Red and WhiteIncludes: Overskirt Bodice, UnderskirtThe hoop skirt .. 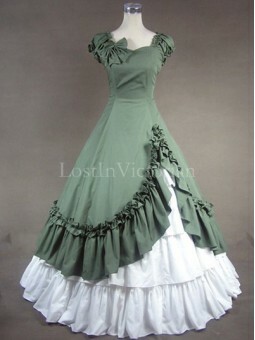 Fabric: CottonShown Color: Green & WhiteIncludes: Overskirt Bodice, UnderskirtThe hoop skirt (wo..